DigiCard Systems, a leading manufacturer of electricity meters is urging holiday parks to be aware of new legislation governing the design and manufacture of energy meters. 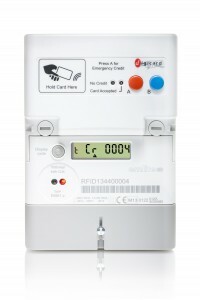 Currently all electricity and gas meters installed in the UK for billing or prepayment of energy must, by law, be of a type approved by Ofgem (Office of Gas & Electricity Markets). From October, the Ofgem legislation is due to be replaced by new MID regulations (Measuring Instruments Directive). Ofgem regulations will still apply to existing meter installations but property owners could be liable for prosecution if they install new meters that do not meet the new MID requirements. “The purpose of these regulations is to protect the consumer by ensuring that all meters are manufactured under controlled conditions in order to guarantee long-term accuracy and quality assurance,” says Chris Smith of DigiCard Systems. If in doubt ask your meter supplier for a copy of the MID Approval Certificate for your meters or visit the Government website www. gov.uk/government/publications/schedule-4- uk-nationally-approved-electricity-meters.